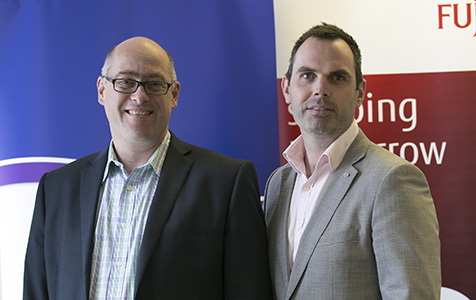 Trident's Mark de Kock (L) and Fujitsu's Mike Foster. Photo: Attila Csaszar. Telecommunications major Fujitsu has been seconded to help advance the latest bid to build a subsea cable link from Perth to Singapore.